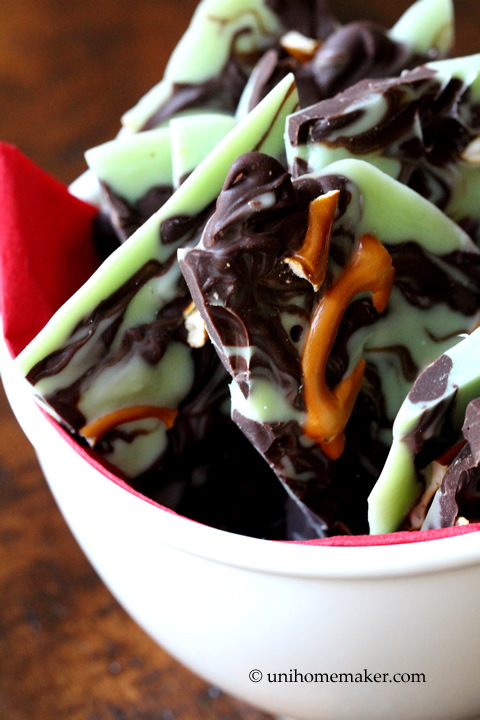 If you’re new to swirling, this is a great recipe to practice on. You really can’t go wrong with it so swirl your little heart out. 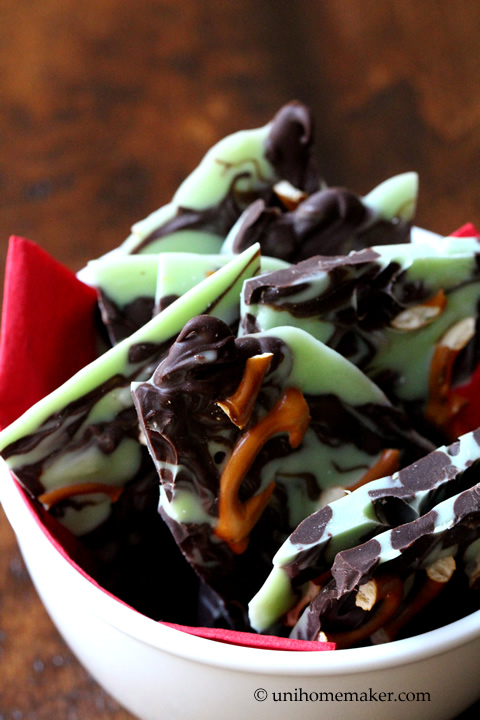 And dark chocolate and mint… I can’t imagine anyone not liking this combination. Have a great weekend! Preheat the oven to 325 degrees F. Line a 9″ x 13″-inch sheet pan with foil or parchment paper. Pour morsels onto the lined sheet pan and arrange them so they are touching each other in a single layer. Bake for 1-3 minutes or until morsels are glossy and shiny looking. Remove from the oven to the cooling rack. Using the tip of a butter knife or chopstick, immediately swirl morsels to create a swirled pattern. 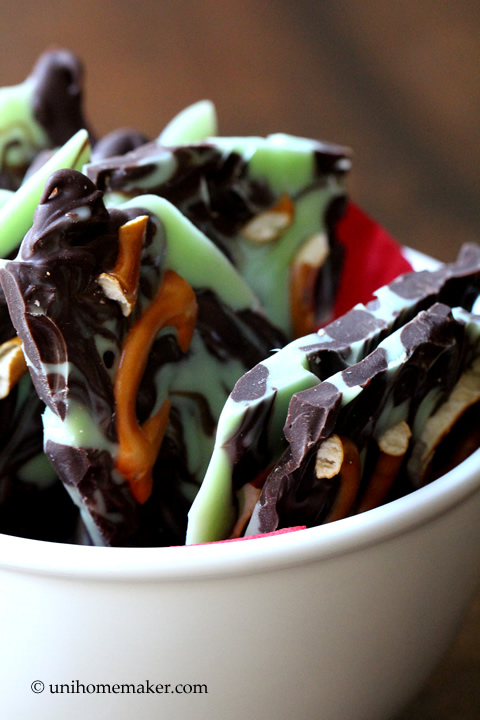 Sprinkle with broken pretzel pieces. 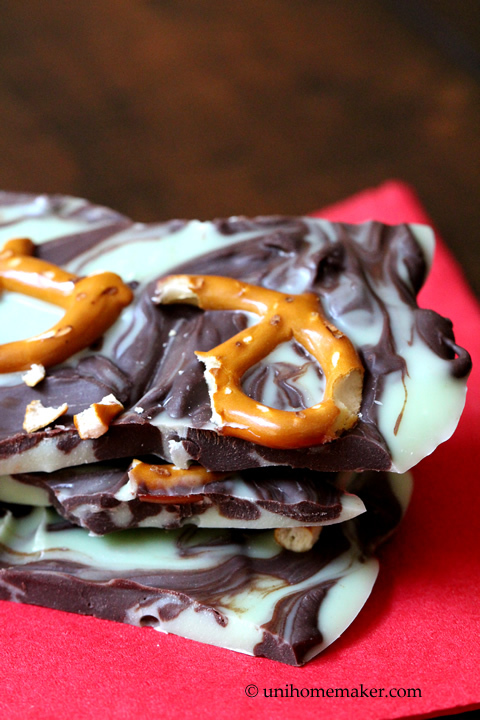 Hold sheet pan 3 inches above counter and drop to settle pretzel pieces into the melted morsels. Refrigerate for 1 hour or until firm. Break into pieces. Store in airtight container in the refrigerator. I don’t know how I had missed this delicious-looking recipe before!! About the ‘choc. 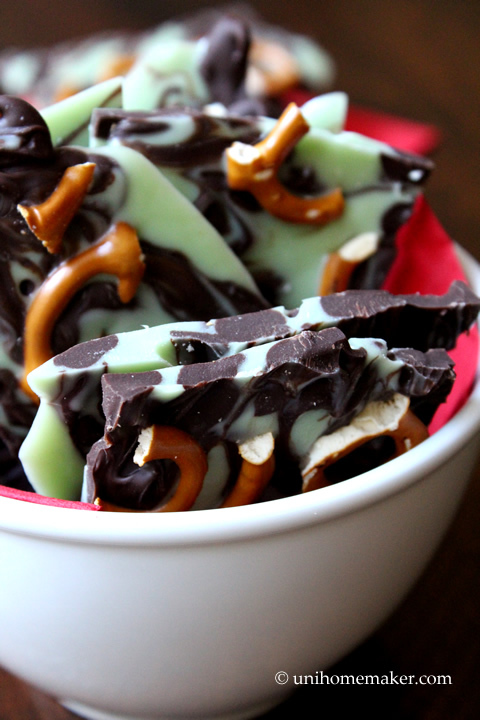 & mint chips’. I don’t think I’ve seen those. Which brand makes them? PS I hope all is well. I noticed you haven’t posted in a while. I, myself, didn’t post for a few months due to 1. a vacation and 2. all kinds of rather rotten things happening to some people I love… I just began blogging again a few weeks ago. We miss you!